Arrive Delhi , meet on arrival by Rep.then transfer to Hotel.Overnight stay in hotel. After breakfast morning drive 5 hrs/203 kms to Agra, Check-in at Hotel. Later visit the world famous Taj Mahal and drive thru Agra Fort. Overnight at Hotel. 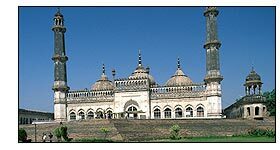 Drive 10  11 hrs / 410 Kms ,to Lucknow enroute visit SANKASIA, with packed lunch where Lord descended from heaven after giving sermon to his mother after 7 years of her death. Later continue drive to Lucknow, Check-in at Hotel.. Early morning Boat ride on River Ganges to see the bathing Ghats. Later Visit SARNATH (where Buddha delivered his first sermon). PM : Drive 7 hours/243 kms to Bodhgaya. Check-in at Hotel.Overnight stay at Hotel. 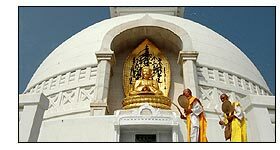 Morning leave for Rajgir and Nalanda (220 kms / apprx 6-7 hrs drive), visit Rajgir the Vulture Hill, World Peace Stupa, Bamboo's Garden. Continue to Nalanda to visit the ruins of world oldest University. Later continue drive to Bodhgaya & check-in at Hotel. Overnight stay at hotel. (420 kms / apprx 11 hrs drive) Drive to vaishali & hot lunch on way. On arrival Checkin at hotel. O/N Kushinagar. After breakfast morning leave for Sravasti (160 kms / 5 hrs apprx.) , enroute visit Kapilavastu - where Buddhas childhood was spent & also visit ruins of the Palaces. Later continue drive to Sravasti & on arrival check-in at hotel. Later visit Sravasti, where Buddha spent his 24 monsoons, visit Jetvana and Ananda Bodhi Tree. Overnight stay at Sravasti. Drive 195 kms/ 5-6 hrs to Lucknow Lunch at Lucknow. Thereafter transfer to Railway station to board shatabdi train to Delhi, Dep. 15:35 hrs. Arrive Delhi 22:05 hrs,Dinner will be served on Board and transfer to Hotel.Overnight stay at hotel.